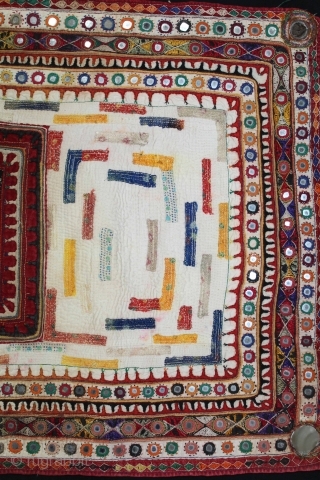 Baby Quilt Embroidered and Appliqued work Made by Gadhvi Community of Dwarka region of Saurashtra Gujrat. 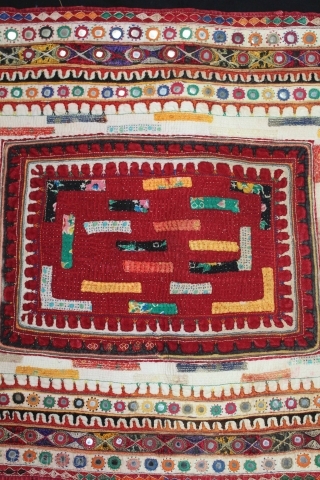 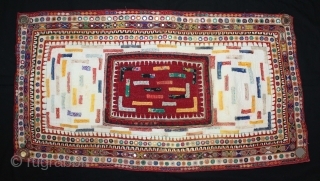 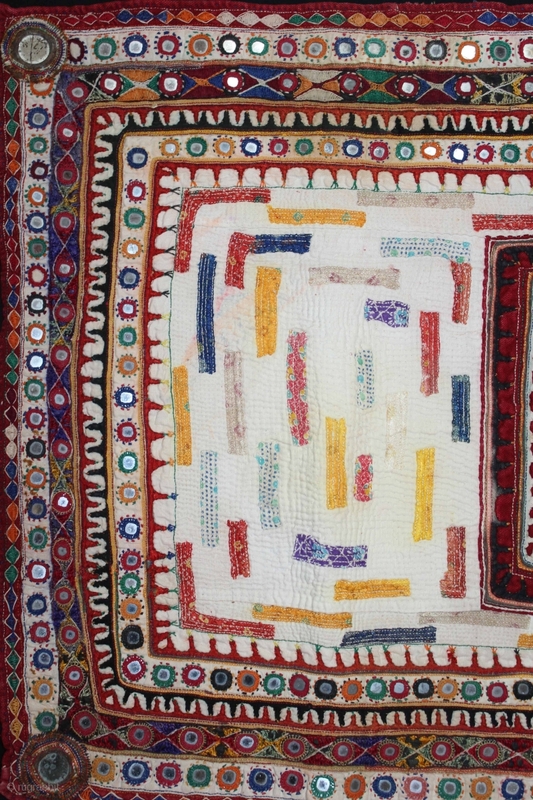 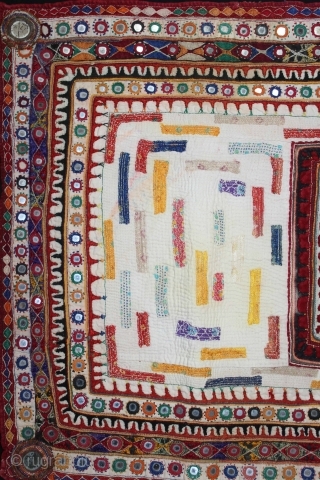 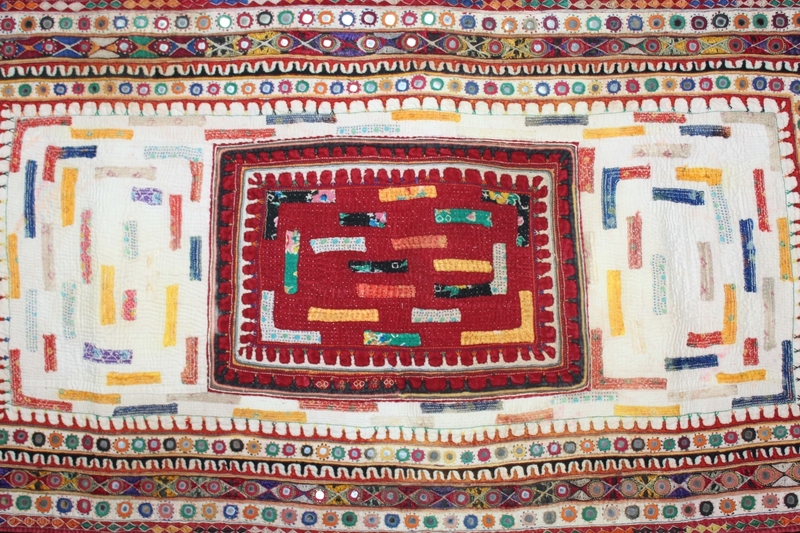 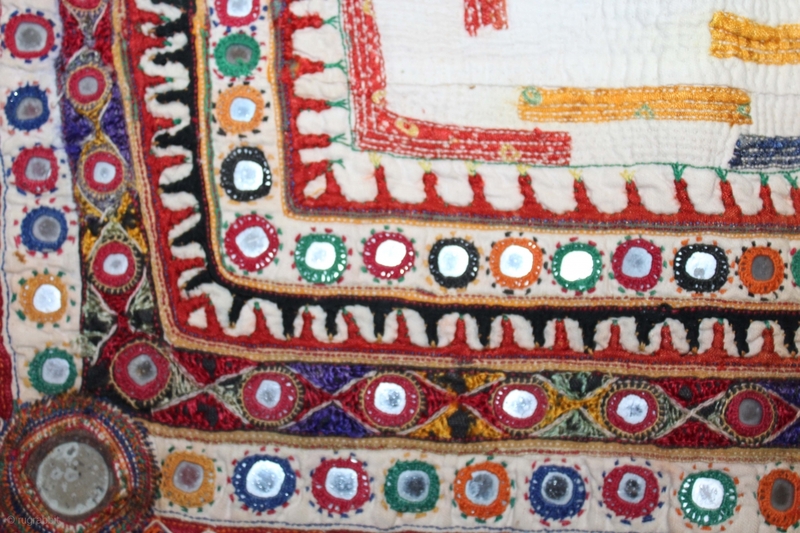 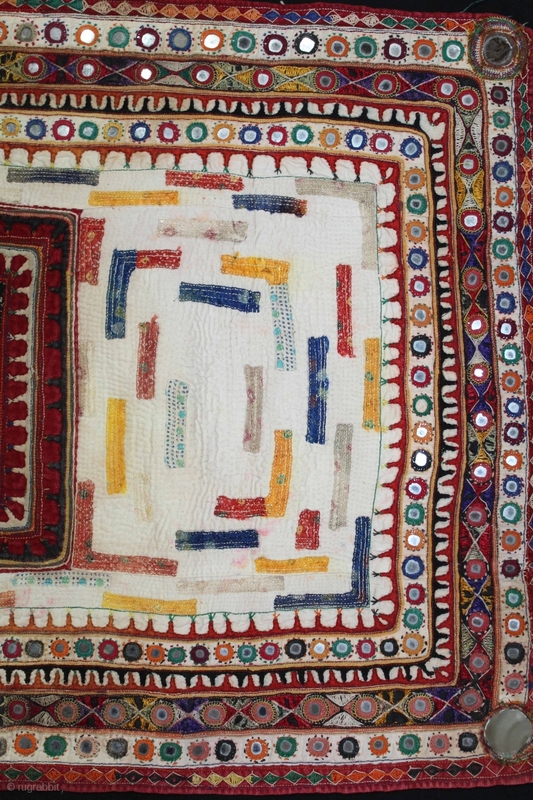 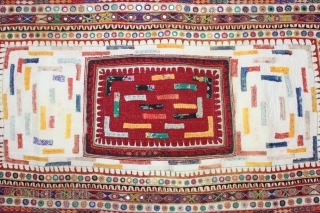 India.Very Fine Mirror and Patch work.Very unusual and rare to find such quilts.Its size is 61cm x 112cm. 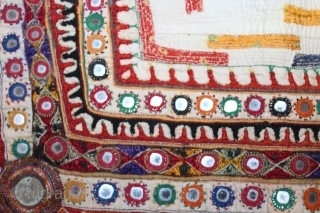 (DSL02930).